Not every rung on the ladder to success is dredged in plight for females. Myrna Arroyo's story is one of passion and determination. I know what it sounds like, but this is not a triumphant sports tale. Myrna is a wearer of many hats: lawyer, former wine shop owner, public relations guru, luxury travel advisor, and certified sommelier. She can trace her love for wine back to one particular sip. A celebratory Bordeaux was left behind in her law firm’s boardroom years ago. That glass of Bordeaux gave Myrna a wine wake up call. It’s a taste she kept chasing with wine tastings and trips to popular wine destinations. Then, after she and her husband took a trip to Barolo, Italy, Myrna decided to become a certified sommelier. Almost all who attempt to become a certified sommelier come from the service industry or alcohol industry. Myrna was chasing the goal on fumes of interest alone. She admits that she was relatively clueless about the process at first. It took hours of wine tastings in New Orleans and submerging herself into the culture surrounding the grape with wine dinners, small group tastings with others in the program, and classroom-style learning about different regions of wine. All of her hard work paid off. 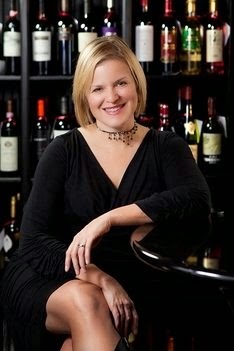 Shortly after receiving her certification, Myrna opened a wine shop in Prairieville called Roux Wine and Spirits. Although that wine shop has closed, she still finds herself picking out fine wines for some of her former customers. “I really enjoy helping people discover wine, it’s as simple as that!” Myrna has goals of opening a wine bar in the future featuring bottles you can’t find in other establishments nearby. In the meantime, she owns a luxury travel company called Roux Wine Tours. The company organizes group trips all over the world tasting wine or other types of booze. Her passion for wine and travel work extremely well together as the alcohol tourism industry has really taken off. Myrna has lead trips to Napa, the Rhone River Valley in France, and to Italy. She's also been playing around with trips to Scotland and Kentucky for whisky and bourbon purposes. You can keep up with her adventures by liking Roux Wine Tours on Facebook and checking out her website at www.rouxwinetours.com. What I admire most about Myrna is her tenacity. She discovered a passion and decided to master it. To set your sites on a goal and drive relentlessly to that achievement takes a strong female; so to that I say cheers to Myrna Arroyo and other women making things happen!